How can you can measure the greatest when there are so many. We decided as a team that by implementing the LWP systems and processes, we have grown as a firm and a team in ways that never would have been possible without LWP. We didn’t know what we didn’t know! The firm retreats are great for giving us focus and making us accountable to making Deliberato Law Center a superstar! ActionStep, although it was a rough start, it is a great tool for all we do. Having Molly as our team coach has been integral to organizing out team and making sure the right butts are in the right seats. I used to be a radio DJ and was the front man of a band. So many to choose from. How about one you probably haven’t read. "Cancer on $5 Per Day (chemo not included)" by Robert Schimmel. Robert is a comedian who received a diagnosis and gives an honest and raunchy account of what he went through. Not much in life is really worth getting upset over. Robert’s account on his tragedy is not only hilarious but really made me reconsider my outlook on what is important. I know many of you have heard me say it, but everything in my life is now based on whether it occurred before or after my diagnosis. I was given a new start in life and have taken advantage of it. Definitely not an intellectual read, but good for a good belly laugh. World Elder Abuse Awareness Day is certainly one we all wish did not require special attention on our calendars. Unfortunately, it does. Every year an estimated 5 million older Americans are victims of elder abuse, neglect, or exploitation. And that’s only part of the picture: Experts believe that for every case of elder abuse or neglect reported, as many as 23 cases go unreported. Elder abuse can take many forms: verbal, physical, financial. Today is the day we as advocates for the elderly can take a moment to remember a few steps we can take for our clients to discover and stop elder abuse. First, we must listen to our clients. Clients are often brought into our office by their children or another family member. As part of our ethical practice, we should always take an opportunity to speak to our elderly clients alone, explain to them the confidential nature of our attorney-client relationship and allow them the opportunity to tell us any information they may not be comfortable disclosing in front of the person who brought them into the office. Affording our elderly clients the opportunity to confidentially trust in us can often bring feelings and issues to the table that could otherwise go unnoticed. Second, we can recommend that caregivers find the necessary time to take care of themselves. Caregivers are full-time nurses, cooks, housekeepers, and sitters. Statistics show that a large percentage of elder physical abuse takes place because of caregivers feeling overwhelmed. We can gather information about caregiver support groups in our area and provide that list to the caregivers entering our office. Providing information and understanding to caregivers allows them to know that our offices are there for them when they reach a point where they feel they cannot continue on. Third, we can monitor the trusts created for our clients as Trust Protectors. This is a wonderful way to use the LWP maintenance plans to benefit the clients we love. As Trust Protector we can assure that the assets our clients worked so hard for are being used as they intended and in a fashion that represents their best interests. When a trustee is abusing his or her authority, we can step in and protect the assets our clients have entrusted us to protect. Finally, we can educate our communities. We can reach out to community groups and organizations and speak to them about the signs of elder abuse, the importance of caregivers’ own health and well-being, the standards Attorneys-in-fact and Trustees are held to, and what signs to look for in our loved ones who are being cared for outside of the home. We can arm clients and community members with the names of their local ombudsman and elder abuse agencies. So today, I hope each of us takes the opportunity to think of one thing we can do to stop elder abuse. Wouldn’t it be nice if this was a day we never have to “celebrate” again? If you want to learn more about becoming a Lawyers With Purpose member, click here and give us a little information about yourself. You will then be able to download the Membership Brochure. I was young when Granny T died. Granny T loved grilled cheese sandwiches, she loved porch swings, and she gave us grandkids MadLibs at Christmas. Granny T told me one time that she was the valedictorian of her high school class and that I was smart, just like her. Granny T had issues with her brain that were largely misdiagnosed and improperly treated. The night she died, the nursing home called and told my mother to come right away. She left immediately. She and her two sisters drove the hours it took to get to Granny as quickly as any child would after getting such a call. But Granny T died alone in the nursing home at 66 years of age. None of her daughters made it to her in time. She was too far away from her family in a nursing home assigned by the state under the Medicaid program. It was one of the few times in life I saw my mother truly sad and broken. My MeeMaw is still alive. She is 94. I introduced her to Taco Bell and the Gap, and she taught me the joy of soap operas and clipping coupons. MeeMaw regularly mailed me the most delicious homemade blackberry jelly when I was in college, much to the delight of all of my friends and dorm mates. MeeMaw always wrote notes with the jelly telling me that I could do anything that I put my mind to and that she was so proud to have a granddaughter with such a fine education. MeeMaw has diagnosed dementia, for which she is monitored by a geriatric physician. She forgets our names, she forgets we came to see her just minutes after we leave, and leaving her home environment is so disheveling and confusing for her that we don’t take her out any more. There is no cure for dementia. MeeMaw will die from the physical ailments that come with it. She will likely pass not remembering where she is or how she got there. But MeeMaw is comfortable, clean, and close to her family. She lives in a lovely assisted living, afforded through proper early planning, not far from any of her three children, four grandchildren and eight great grandchildren. She will pass having led a much fuller life than Granny T, our memories of her will be stronger, and we will all make it there when the time comes. Now you know my purpose story. It is the story of why I have practiced in Elder Law for 13 years. It is why I love helping attorneys across the country, through the best program on the market, to provide the most comfort possible to families in very difficult times. It is also why I am passionate and committed as an advocate and ambassador for the National Alzheimer’s Association. And, it is why I would like to ask each of you as legal advocates for those who suffer from Alzheimer’s and dementia to join the Lawyers with Purpose team in the fight to find a cure. June 20, 2016 is the summer solstice and the longest day of the year. We will honor those family members, friends and clients who have joined us for planned events at the Practice With Purpose retreat and at firms across the country. 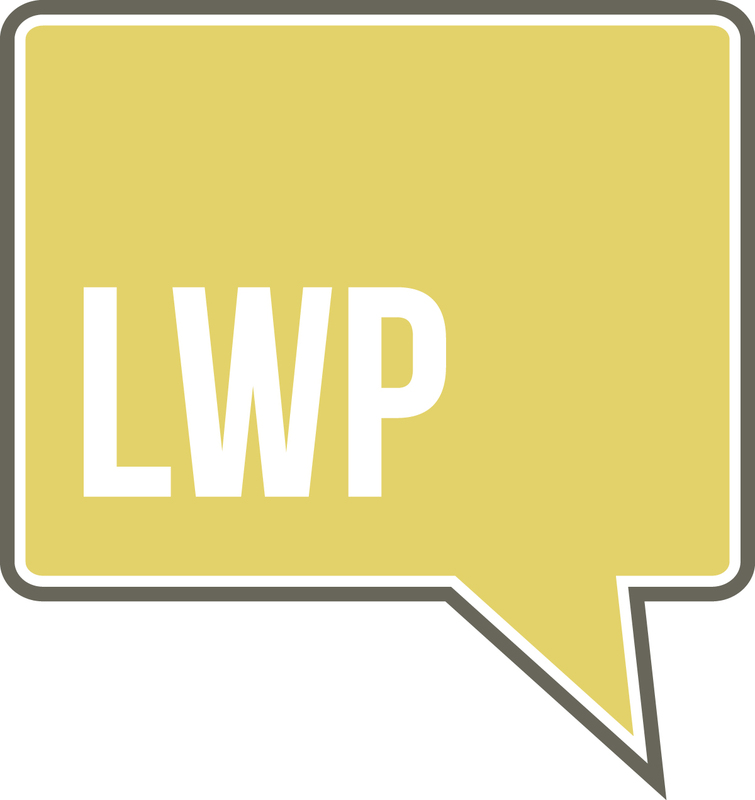 We ask that each of you consider joining our team, either in person or virtually, as the LWP elder law community shows our support of our personal communities. We hope you, and your firm, may join our team during the Tri-Annual Practice Enhancement Retreat on June 20th. We'll be participating live from the event, and hope you can join us, if not, please join our group virtually at http://act.alz.org/site/TR?fr_id=8480&pg=team&team_id=327995. Throw on your purple shirt, send us pictures to post - and help raise awareness! Together we can help find a cure and improve the lives of millions of families. Implementing the LWP processes into the firm’s operations, allowing us to standardize the processes and production of quality estate plans while facilitating communication with the firm members. The Medicaid portion of LWP-CCS, wherein I can show clients Value Proposition of Asset Protection planning using their own financial situation. In addition, the use of ActionStep provides one-stop access to all firm operations, including client management, marketing activities and successes, and revenue tracking. LWP’s systems allow us to truly work as a team, supporting each other while ensuring that we can produce quality documents in a timely and efficient manner. Prior to attending law school in the early 90’s I was employed in the data processing industry with IBM, Control Data Corporation and Storage Technology. I also flew C141s in the Air Force Reserves and spend about 4 years flying for World Airways before attending law school at Regent University. The Bible – it is truly the manual for living life to the fullest. For many years I was in practice with a series of different partners. When I finally broke free and went on my own, I was searching for new and better ways to run my practice. Molly Hall reached out to me at just the right time, and I believed LWP was a perfect fit for my needs. Within a few months, I increased my fees, made a scheduling template and stopped interrupting my work flow to answer client calls, and became a much more efficient practitioner. My team and I are gearing up to start having workshops. We moved to new offices in January, with a large enough room to hold workshops in-house. We have watched Dave’s videos together several times, and are in the process of editing and printing all the wonderful material made available by LWP. Now all I have to do is learn to tell the jokes. Most people don’t know that my mother was inspirational in how I interact with my elderly clients. My mother met the love of her life when she was 84 and he was 87. They had three wonderful years together before his health failed. They were head over heels in love, and a joy to watch. I learned from them that no matter what your age, life can still bring wonderful surprises if you are open to taking chances. Little Women - I read it as a teenager and it made me want to be a writer like Jo - Maybe someday. The greatest success is having created a thriving Estate Planning Practice run by a cohesive team of dedicated people who are passionate about helping as many families as we possibly can. It is not just the tools but the total client centered systematic approach of the LWP process that has allowed us to quickly go from zero to hero as an Elder Law and Estate Planning firm. We have been impacted by our implementation coach Roz Drotar and our mentor Coach Candace Pollock, both of whom have held us accountable and challenged us to reach our highest possible potential while imparting their years of experience-based suggestions to help us achieve amazing growth over the past year. Something that people don't know about me is that I am transparent. What you see is truly what you get. My favorite book is called Man's Search of Meaning by Viktor Frankl. This book has impacted my life because after reading it, it has taught me that everything in your life is a matter of perspective, and how you look at something creates your world.